Joe Cokanasiga, Dan Cole, Dan Robson and Mike Brown are among those released by England to play for their clubs in the Premiership this weekend. They have been left out of Eddie Jones' 25-man training squad for a camp this week before next Saturday's Six Nations match with Wales. Centres Ben Te'o and Ollie Devoto have been included, as have props Harry Williams and Ben Moon. Injured Maro Itoje and Dylan Hartley will remain in the England camp. Leicester prop Cole made his international return against France, but his exclusion from this training party suggests Williams is in line to feature against the Welsh. Bath wing Cokanasiga and Harlequins fullback Brown have been unable to break into a matchday squad this Six Nations, and have missed out on this slimmed-down training squad, with Elliot Daly, Jonny May, Chris Ashton and Jack Nowell currently the preferred options in the back three. But while Robson will play for Wasps at Bristol on Friday, he is being given game-time by the England management and is still in line to be involved in Cardiff. Ben Youngs, who has played all but 10 minutes of the Six Nations so far, is the only scrum-half in camp this week. Te'o meanwhile missed England's opener against Ireland in Dublin through injury and then wasn't selected for the meeting with France at Twickenham, but remains a key part of Jones' plans. 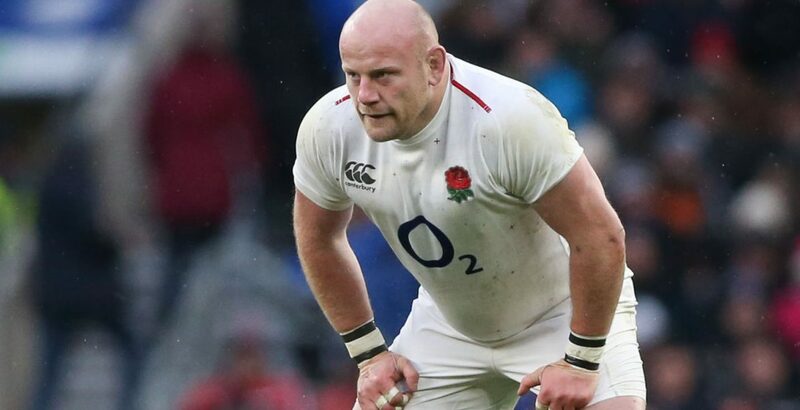 England yesterday lost kingpin prop Mako Vunipola for the rest of the championship with an ankle injury, with Ben Moon and Ellis Genge set to deputise at loosehead for the in-form Saracen. Jones will name an updated squad on Sunday evening, before reducing it to 25 players on the Tuesday and then finalising his starting XV and replacements next Thursday morning. Luke Cowan-Dickie (Exeter Chiefs), Tom Curry (Sale Sharks), Ellis Genge (Leicester Tigers), Jamie George (Saracens), Nathan Hughes (Wasps), George Kruis (Saracens), Joe Launchbury (Wasps), Courtney Lawes (Northampton Saints), Brad Shields (Wasps), Kyle Sinckler (Harlequins), Billy Vunipola (Saracens), Ben Moon (Exeter Chiefs), Harry Williams (Exeter Chiefs), Mark Wilson (Newcastle Falcons). Chris Ashton (Sale Sharks), Elliot Daly (Wasps), Ollie Devoto (Exeter Chiefs), Owen Farrell (Saracens), George Ford (Leicester Tigers), Jonny May (Leicester Tigers), Jack Nowell (Exeter Chiefs), Henry Slade (Exeter Chiefs), Ben Te'o (Worcester Warriors), Manu Tuilagi (Leicester Tigers), Ben Youngs (Leicester Tigers).